When you’re running whitewater, there’s a moment just before entering the rapids when the world stills. The canoe seems to hang in the air above the smooth tongue of green water that leads into the roiling waves. At that moment, it’s too late to be afraid, and there is a crisp, focused moment of joy. 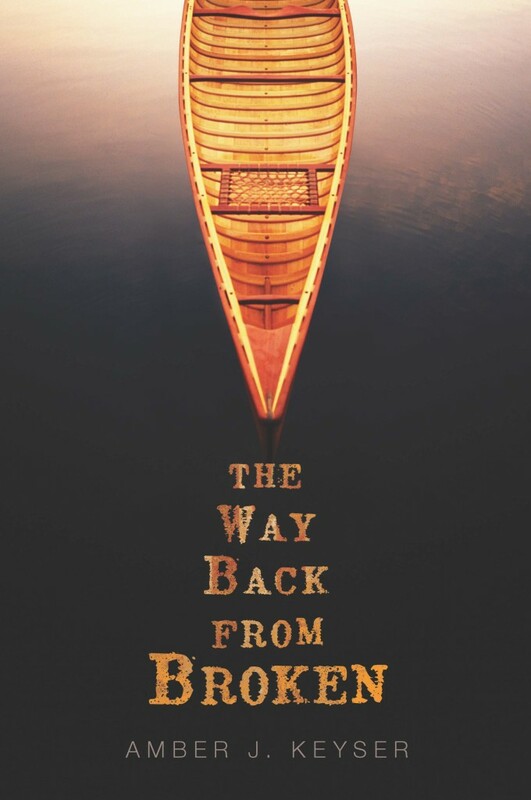 This is the cover for THE WAY BACK FROM BROKEN, which releases on October 1st from Carolrhoda Lab. This novel holds both my heart and my history, and I am so grateful to be able to share it with you. I have in my hands an advance copy of the book, and I am going to give it away to one of you. If you sign up for my newsletter (which I send every 2 months or so), “like” my Facebook author page, or follow me on Twitter, I will enter your name in the giveaway. Do all three, and you’ve got three chances to win and be one of the first to read THE WAY BACK FROM BROKEN. And more than that, you’ll have my gratitude for joining me in the rapids and helping me find the way back.